When it comes to the comfort of your home, the options are as diverse as the people choosing… so, choose by design, not accident. The solution is to discover a company that has a complete product line with the experience to help guide you. Having designed and installed over 110,000 home comfort systems for your North Carolina neighbors, we can help you make the right choice, too! Weather Master has over three decades of experience and industry knowledge, ensuring your job is done right the first time, and we offer a 100% satisfaction guarantee. 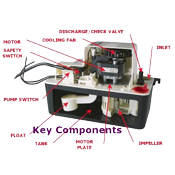 And don’t forget...we can install and service any brand, make or model of air conditioner, heat pump or cooling system. 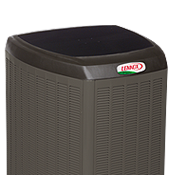 At Weather Master we are proud to be a Premier Dealer of Lennox® air conditioners. 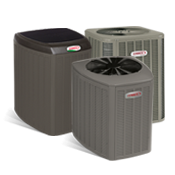 Allow us to help you make the right decision for your home when you’re in the market for a new cooling system. We have a wide range of home air conditioning systems, to fit every budget and meet every comfort expectation. Lennox® is your source for the most efficient and quietest heat pumps you can buy. Whether to heat or cool your North Carolina home, we offer a complete line of Lennox® high efficiency heat pumps, providing you with year-round comfort. 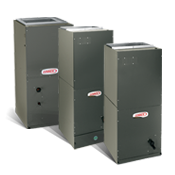 Lennox® Air Handlers offer industry-leading efficiency, and variable speed technology makes select Lennox air handlers the most efficient and quietest you can buy. Weather Master knows that your heating and cooling system can be the largest investment that you make in your home. That’s why we offer added protection for your peace-of-mind. 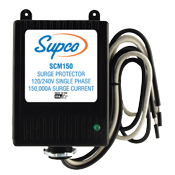 Protect your investment today!